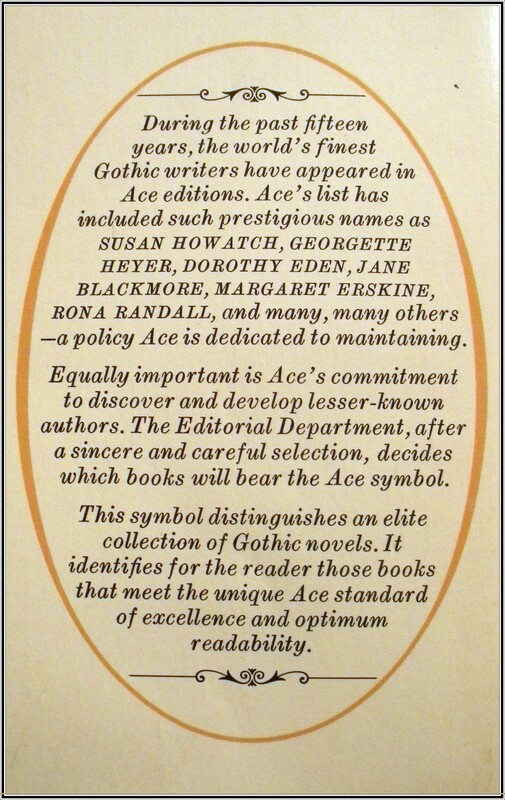 Ace are a well known publisher for Gothic Romance who, in the 1970’s, produced their Cameo Gothic series – the titles chosen for their excellence and optimum readability, while promoting and developing lesser known writers. Here’s numbers one to six. When Paul Stembridge came looking for his missing brother Geoffrey, Susan Lord could not know he had brought a family curse with him. Susan fell in love with Paul, married him, and in her happiness, all thoughts of Geoffrey were forgotten. But soon a subtle change came over Paul. gradually Susan realised that he wanted her for one purpose only – to help him break the curse. What had become of the missing Geoffrey? If the curse had taken him, then Susan, too, was in danger. Captive of a family plagued by violence, Susan faced a legacy of evil that spanned more than a century. She had to learn the secret of the Stembridge curse – or die a victim of it. Written by Nancy Taylor Smith. First Ace printing August 1974. Julie Wescott knew that Greg could not have killed his wife; he was with her the night his wife was murdered. But the dead woman’s brother was convinced that Greg was responsible….. and suddenly Julie realized that she didn’t really know the handsome, charming man she loved at all. In love with Greg, but drawn to David, Julie knew that one man was telling the truth – and the other was trapping her in a maze of deception and greed where death was the only exit….. Which one could she trust? Written by Louise Hoffman. First Ace printing September 1974. It was to have been her mother’s fourth marriage, and Sunny wouldn’t have even bothered coming to Revelstoke Castle if the invitation hadn’t sounded so…desperate. Now her mother was dead, and the women of Revelstoke, who had hated her, had the handsome bridegroom – widower to themselves once again. Written by Poppy Nottingham. First Ace printing October 1974. Was Strendleigh Hall a gracious refuge offering shelter and comfort – or an elegant deathtrap waiting to destroy the unsuspecting. It was a set of tragic circumstances that brought Rose to Strendleigh… or perhaps it was fate, for she came to love the English manor and the inhabitants who treated her so kindly. But soon Rose learned that her ties to Strendleigh were closer than that of grateful houseguest. 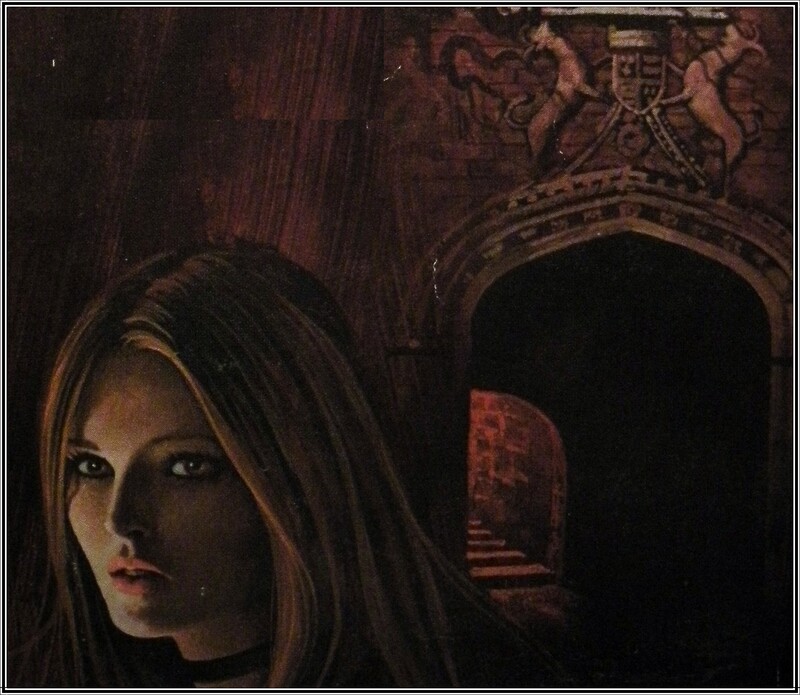 And the closer she got to the truth, the more obvious it became that one of the two handsome Stone brothers vying for her hand in marriage was really trying to rid the hall of its guest…permanently. Love thwarted by greed was Strendleigh’s evil past, and now it fell to a terrified young girl to avenge that lost love – or die a victim of it……. Written by Geraldine Killoran. First Ace printing November 1974. When Stacey Cameron returned to Lakewood to find that she and Steve Winter were still in love, nothing, it seemed, could stand in the way of their happiness. But Steve’s former wife had died in a suspicious fire and soon Stacey, too, fell victim to one strange accident after another. Who among Stacey’s old friends wished her ill? Tess Arnold seethed with rage when Marty, her boyfriend, so obviously preferred Stacey to her. And what about Marty? Generous to a fault, did his friendship hide a secret grudge? Between the warring adults stood Steve’s stepdaughter, Laurel. A strange, precocious girl, Laurel took pleasure in stirring up trouble for Stacey. Concealed in the past was the key to Stacey’s future. 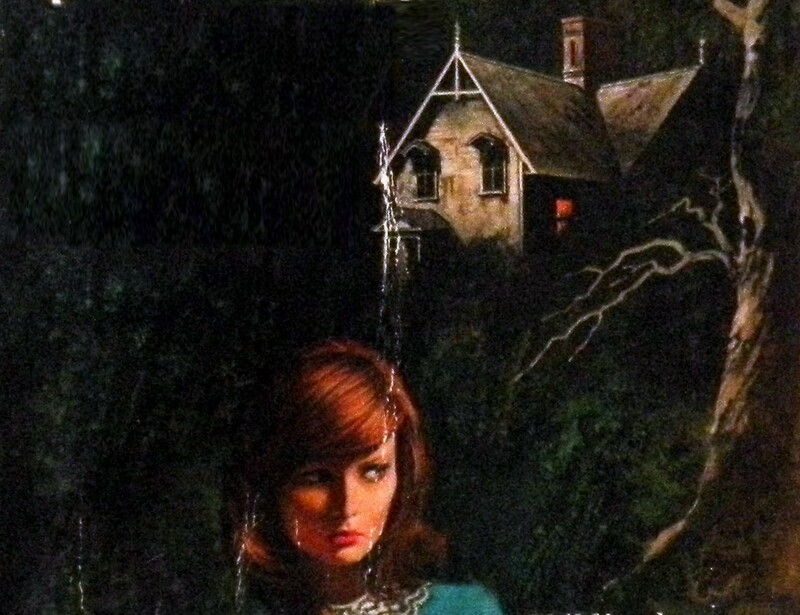 Could she unlock the door to Lakewood’s secrets before she became a victim of YESTERDAY’S EVIL? Written by Lydia Benson Clark. First Ace printing December 1974. Lovely Tallent Boardman came to the Casa del Sol to work as Paul Rowan’s law assistant – and escape the agonising memories of a lost love. But nobody really wanted Tallent at the Casa; not her handsome, brooding employer who had never expected a woman; not his beautiful sister-in-law; not his crippled bitter nephew, Jeffrey. Written by Diane La Point. First Ace printing January 1975. The Golden Fig is reviewed Here. Fear Among the Shadows is reviewed Here. The Stones of Strendleigh is reviewed Here. This Old Evil House s reviewed Here. These are the very typrs of books I love so much. Can’t wait to buy them so I can finish the stories. My book. “The Ghost Of Neilson Manor” has much the same as yours but I think just a tad bit different. Hope you get a chance to check it out as well. Good luck with all your stories as I think they are great. All photographs and reviews © Sara Boyle and Haunted Hearts, 2009.